Many hospitals in developing countries lack functional medical equipment required to diagnose, monitor, treat, and rehabilitate patients. In some health systems, in addition to having access to medical equipment and supplies, a critical challenge is ensuring the maintenance and management of the devices. In fact, recent studies cite that at least 40-50% of medical equipment in developing countries is out of services or unusable. To address this need, IMI provides donations of approved medical supplies and equipment to carefully screened institutions. As IMI’s international delegations and specialty conferences train a variety of health workers how to perform certain medical procedures, IMI’s capacity building initiative include trainings for the management and maintenance of the equipment being used as well. IMI’s previous donations have included a range of items (based on country approved lists) from medications to stents for cardiovascular procedures to larger equipment including dialysis machines. 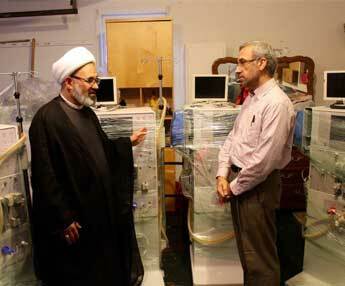 In 2017, IMI secured 9 dialysis machines and is in the process of donating the items to verified entities for use in Al Kafeel Hospital (Iraq) and Medical Aid UK hospitals in the Gilgit Baltistan region of Pakistan. 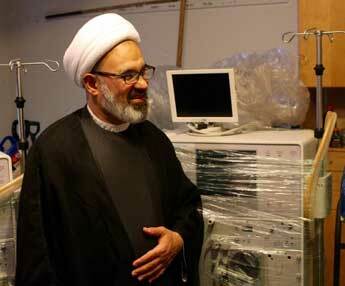 Seven of these machines are being donated to Al- Kafeel Hospital, Karbala, associated with the Holy Shrine of Hazrat Abbas (A.S.) The machines were handed over to Sheikh Salami, the Representative of Al Abbas Holy Shrine for North America, by Dr. Irfan Raza, IMI’s former board member and nephrologist, who initiated the acquisition of these machines, each costing $40,000.00. 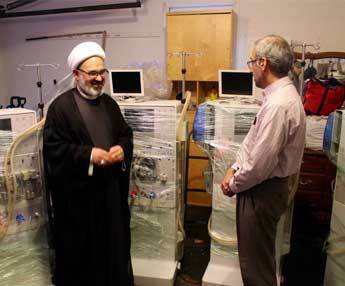 Two dialysis machines are being donated to Medical Aid UK for use in projects in Gilgit Baltistan (Pakistan). In order to help community-based health clinics expand their area of services, IMI also provides donations of ambulances. 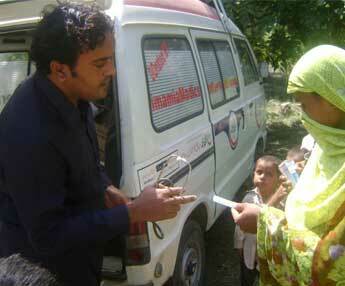 Recent donations have included the donation of ambulances to clinics and health systems in Tanzania, India and Pakistan.